And all the things you can learn from them. Here, a few men who cared enough to present themselves well this year. The biggest lessons here: No matter what your style is, always dress appropriately, lean toward the classics, and don’t forget to have a little fun. 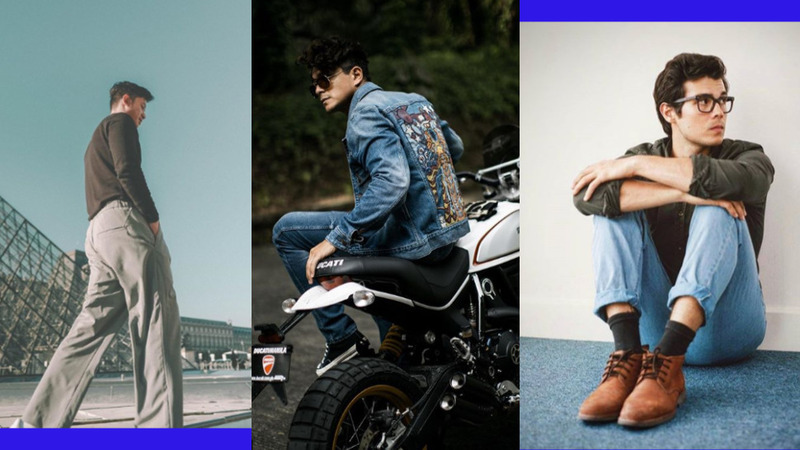 Erwan earns a spot on our list for the simple fact that he showed us, mortals, what to wear on the most important occasion in a man's life: marrying your one true love... in Queenstown. And the answer includes a made-for-you suit during the ceremony and a plaid sport coat for the pre-wedding affair. In contrast to his daily wear of comfy henleys and utilitarian outwear (a great collection, by the way), these just proves that when a more dressed-up look is required, he knows how to do it right. You should, too. We often cite Jericho when it comes to great hair and clothes because the actor has created a very distinct look, which we think is really more than just style. It’s really a feeling—surfer vagabond meets all-over cool guy with really good hair. We can’t quite put our finger on it, and that’s one tell-tale sign of great taste. Also, it doesn’t hurt when the wifey is also a creature of fashion. Deviating from CEOs preferred rig of classic suits in standard navy, Robbie Antonio’s uniform consists of DB suits, brawny ties, nonchalant pocket squares, and when not wearing a tie, skin-revealing unbuttoned shirts. From experience, we know that the man behind Revolution Precrafted is very, very particular about his clothes. And that’s something to look up to because, in order to dress well, you really have to mind the details, most important of all is the fit. Are you back? See what we mean? His clothes are very much in his lane of young, bright, and beautiful. And while you can’t be sure how much of his look can be credited to a team of minders or James himself, you get nuggets like the one right above on his feed. Hey, when you can score a swaggy jacket on the street and then proceed to take a photo like this, you’re good in our books. We have to admit that David, one of the most successful style bloggers in the country, knows how to put together an excellent rig. He's on this list because he’s found that perfect intersection between what’s now (trendy or fashionable) and what’s forever—without ending up in a mish-mash place called batshit crazy. His occupation as a lifestyle blogger entails experimenting with clothes, but he does it in a slightly more grown-up way. If you're looking for an adventurous style hero, he's an example of how to incorporate trendy items carefully.